Oh, those crafty sellers, disguising the deferred maintenance of their homes! We’re not saying they’ll lie, but if they can get away with selling the house and not having to spend thousands of dollars on a moldy basement re-do? Well, it’s hard to blame them: they want to make the most of their home investment, too. When buying a home, keep a keen eye peeled as you asses the potential of your new house, and hopefully you can avoid the costly mistake of buying a place that needs a lot of pricey repairs soon after closing. Or at least, gain some leverage in negotiating costs and/or required fixes, so you aren’t stuck with a new mortgage—and new repairs. How do you discover the true condition of a sale home? Use all your senses. Look at the walls: cracks can indicate a shifting foundation. Signs of water damage, like peeling ceilings, can indicate the need for roof repairs. New paint on a single wall could hiding mildew, mold or water damage. Smell the basement. Do you detect a hint of mustiness? This could signify mold. Touch the electrical faceplates—are they warm? Is that an odd shadow on a wall? Or a bump that means a shoddy repair? -Does the masonry have visible cracks or crumbles? -Are there any barricaded spaces in attics, basements or corners of rooms? -How do the electrical outlets and vents look? -Do the doors and windows open and close as they should—with no sticking, uneven corners or drafts? Thankfully, you’re not alone in determining the conditions of prospective homes. 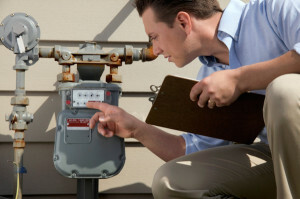 Home inspections become crucial here, as they locate red flags. A qualified home inspector is trained to spot structural and system problems that layman won’t notice. They can advise on potential repairs. They’ll check the reliability of your heating and ventilation system, and they also can spot foundation problems your untrained eye may skip. Your reliance upon the expertise of the home inspector allows you to mount a little offensive when buying a home. You can use the defects described in an inspection report as an effective negotiating tool to get a better price with the seller. The lender’s appraiser may also have some thoughts. While they are tasked with ensuring the lender is making a good investment, they may also spot some issues. A new rule gives buyers the right to see the appraisal, which could note issues with the house. You are buying into a neighborhood as well as into a home. Check red flags in the area, too. Abandoned and boarded-up buildings or excessive amounts of garbage and graffiti are obviously not good signs. Is there local industry in the form of factories or business parks? Do neighbors park on the streets or in garages? Are cars and debris filling adjacent yards? In other words, do people take pride and care in their community? And are there signs of stability and growth? Of course, you may also see the good signs: senior citizens walking, children playing, clean school yards, parks, convenient shopping, places of worship and a public library. You know what you want in a neighborhood. Make sure you see it. If you do find red flags, they may not tank the deal, as long as you bring them up. A good REALTOR® can help you with this. Major issues—like plumbing, electrical wiring problems or structural concerns—could push a motivated seller to agree to fix the problems or lower the price of the home. Because if one buyers spots them, another one might, too. If the neighborhood, the home layout and the price all seem right, it might be worth trying to push the seller to mitigate those flags. And once they’ve finished, you’ll have the home you’ve always dreamed about right in front of you.